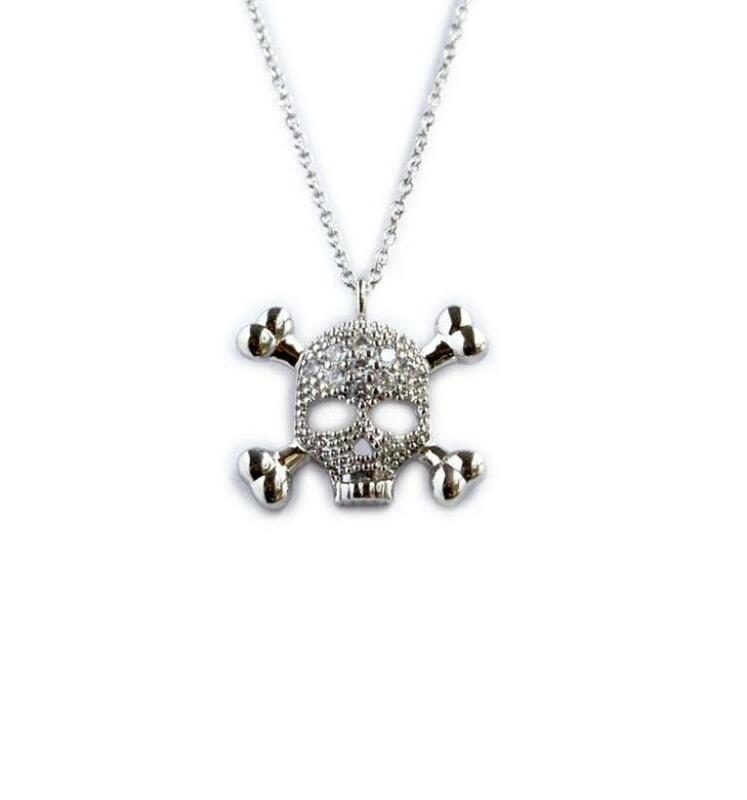 Rock this 15MM skeleton pendent with czs alone or layer it with other necklaces for a more trendy style. And ours comes at a great price point for you. Ours comes in sterling silver with czs, you choose 16 or 18 inch chain and you can upgrade it to gold plated or rose gold plated. It also makes a great gift too! Price: $30.00 In stock! - Browse this brandOur products are custom made to your specifications. This product ships up to 3 weeks after your order is placed. Choose either sterling silver, rose gold filled or gold filled.